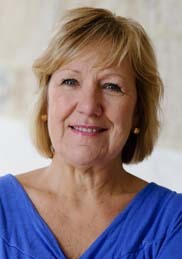 Joyce A. Murphy. Photo courtesy St. Mary’s Center for Women and Children. 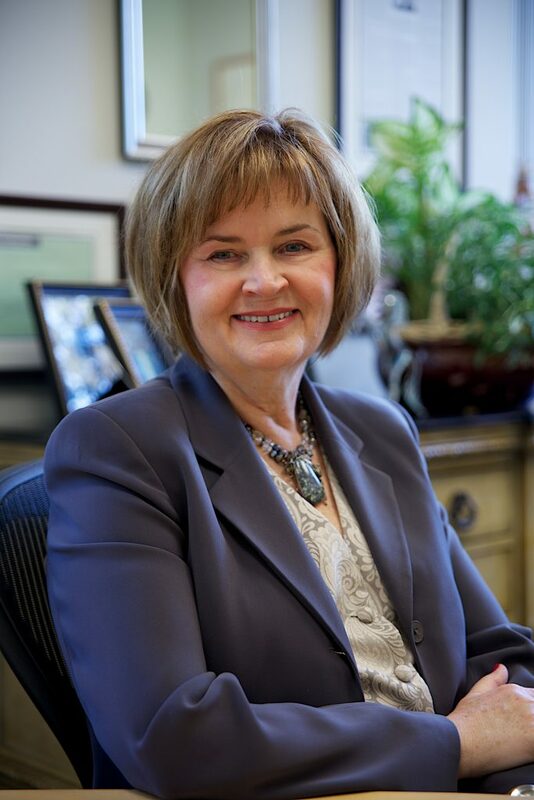 Canton resident Joyce Murphy, founding president of St. Mary’s Center for Women and Children, will be honored this October at the center’s Diamonds of Dorchester event with the John Corcoran Award for Excellence. 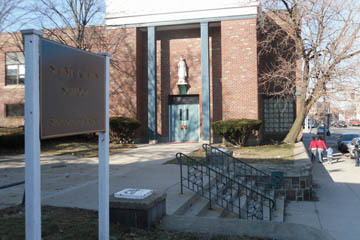 Murphy helped establish St. Mary’s in 1993 on the campus of the former St. Margaret’s Hospital, when the hospital’s operations were moved to St. Elizabeth’s Medical Center in Brighton. St. Mary’s Center in Dorchester just received its biggest donation ever, from one of the world’s biggest companies. 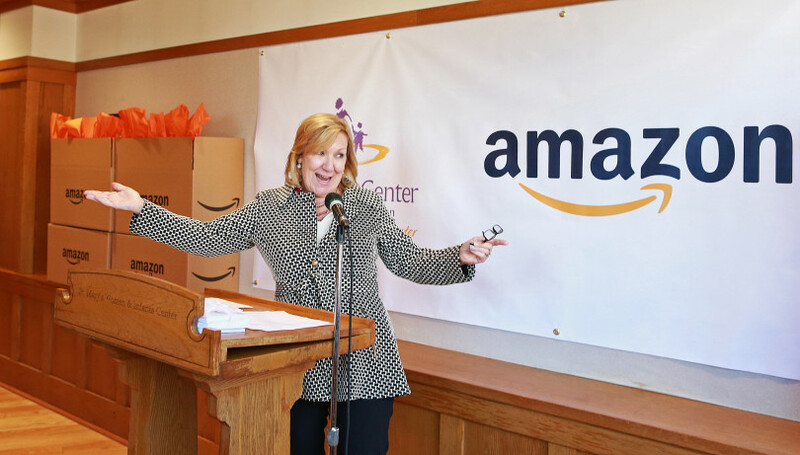 Amazon said Monday that it will give the family homeless shelter and social service center $1 million, making good on a pledge last fall to match up to $1 million in donations. 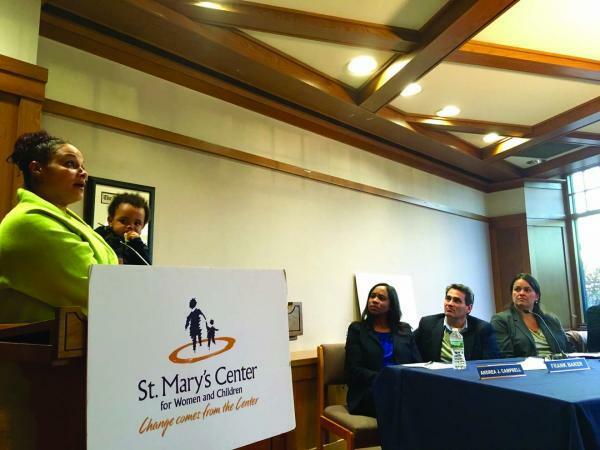 The combined $2 million will go toward a community resource center St. Mary’s hopes to build on its Jones Hill campus, offering legal help, domestic violence counseling, and other services for both St. Mary’s residents and the neighborhood at large. BOSTON —Danielle Johnson, also known as DJ Ms. 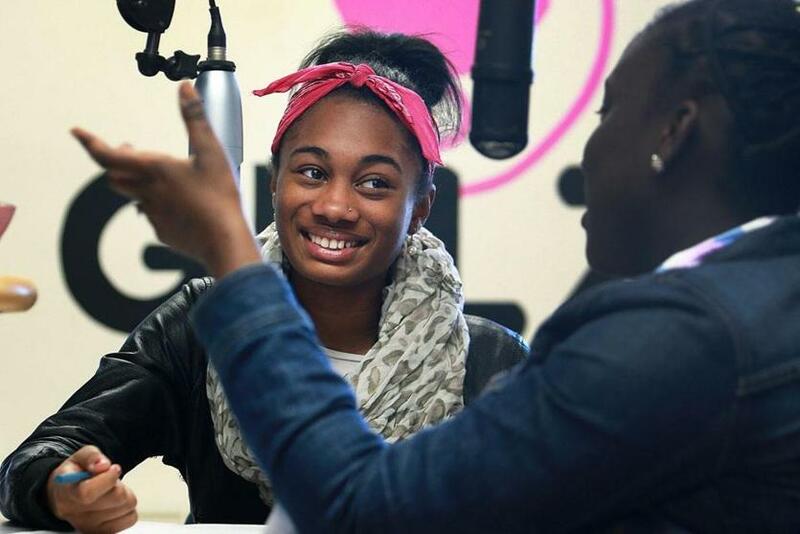 Hot Sauce discusses GRLZ Radio in Dorchester and helping young girls amplify their voices. Amazon is still in the early stages of deciding whether it might bring a massive “second headquarters” to Boston. But the tech giant came to Dorchester Thursday with a big check. 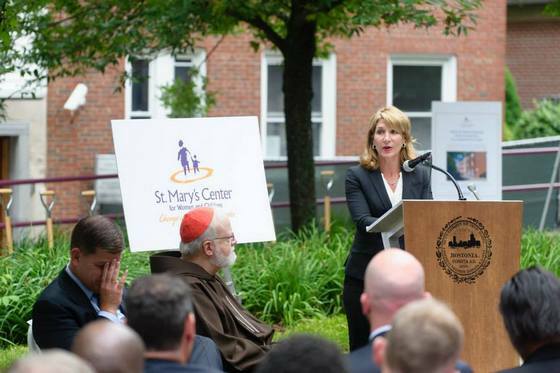 The company said it will donate $1 million to St. Mary’s Center, a nonprofit in Upham’s Corner that provides housing, job training, and other services to homeless families. It’s the biggest gift ever received by the social service agency and comes ahead of its annual fund-raiser next week, which will be headlined by Boston Mayor Martin J. Walsh. Amazon said it will match donations up to $1 million. Christmas is hard, Dorice M. said. Dorice M. struggled to make ends meet while taking care of her children and working near-minimum-wage jobs for 10 or 12 hours a day. But when she became unemployed, times grew more dire for the 42-year-old and her two youngest children, a 12-year-old boy and an 8-year-old girl. Dorice and her kids ended up sleeping in the emergency room at Boston Medical Center for two nights this year. 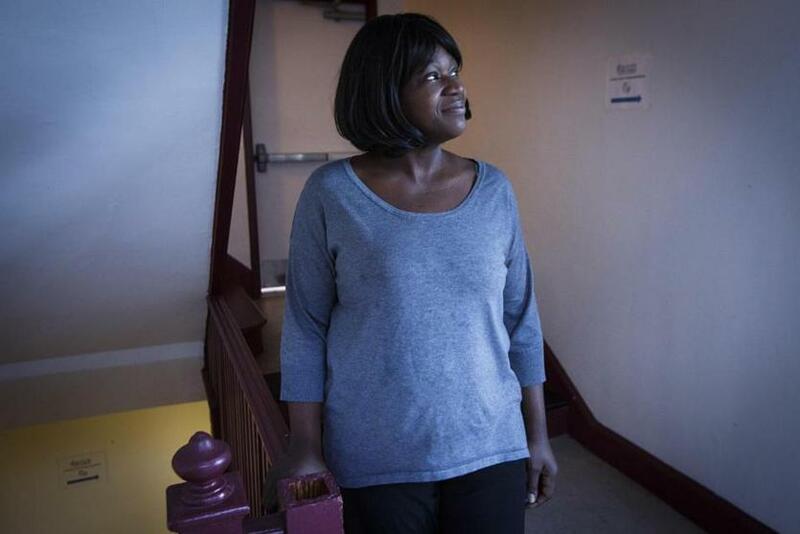 She then qualified for emergency housing assistance from the state, and was placed at a shelter at St. Mary’s Center for Women and Children in Dorchester. GRLZ Radio participants including (l-r) Saun Green, Danielle Johnson, Michelle Novelle, Taja Boone, and Fatima Doumbia celebrated their awards at the Golden Mic Award Ceremony earlier this month. 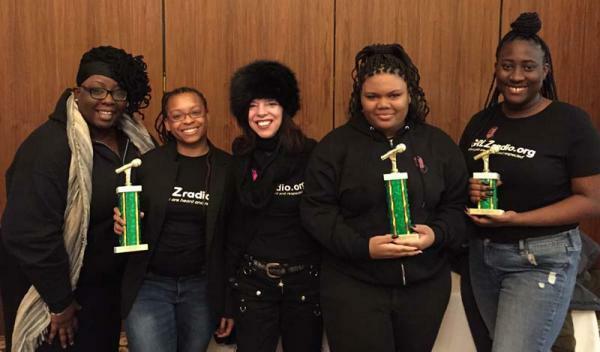 Dorchester’s own GRLZradio program, a youth development program and 24/7 web-based radio station (grlzradio.org) based in St. Mary’s Center on Jones Hill, won two awards and was a finalist in a total of three categories at the 77th Annual International Intercollegiate Broadcasting System (IBS) Conference and Golden Mic Award Ceremony this month. GRLZradio was awarded two golden microphone trophies, winning Best Public Service Announcement and Best Use of Facebook and was a finalist for Best Use of Instagram. Deirdre Houtmeyers talks about St. Mary’s Center for Women and Children, which helps families break the cycle of poverty. BOSTON (CBS) – St. Mary’s Center for Women and Children in Dorchester not only provides housing for young women and their children, they also provide job training for those women who otherwise might not be able to make it on their own. 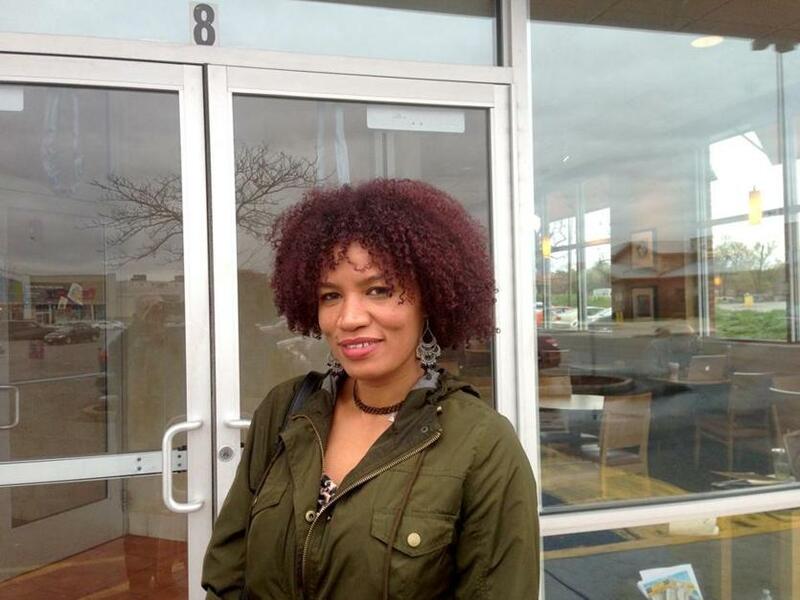 Yanira Ayala is among the recent graduates from the center’s Women At Work Plus program. BOSTON (CBS) – As part of our ongoing series WBZ Cares, WBZ News Radio will be featuring a different charitable organization every month. Tonight, Dan will be join in studio by Deirdre Houtmeyers, President of St. Mary’s Center for Women and Children. St. Mary’s works with women and children to help families break the cycle of poverty, providing shelter, clinical and educational services, job training, employment placing, and help finding permanent housing. Tune in to hear about the incredible work they do. Originally broadcast July 21st, 2016. BOSTON (CBS) – The WBZ Cares Campaign continues for the month of July. Each month, WBZ Newsradio 1030 highlights a worthy non-profit organization, and tells the story of what it does for the community. This month, WBZ profiles St. Mary’s Center for Women and Children in Dorchester, which provides housing, education and services for young women and their children. St. Mary’s Center has been helping women and children for more than two decades, but it’s history dates all the way back to the 1870’s, when an infant was left on the doorstep of a local church. BOSTON (CBS) – This month, the WBZ Cares Campaign is profiling St. Mary’s Center for Women and Children in Dorchester, which provides housing, education and services for young women and their families. 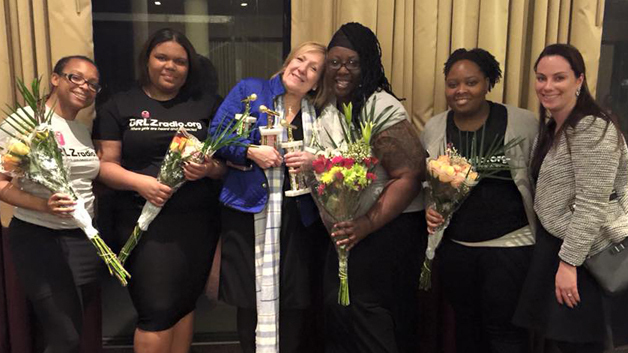 A unique program at St. Mary’s Center is grlzradio.org – “GRLZ Radio,” an internet radio station based at the center, teaching high school girls some valuable skills, and helping them stay in school. 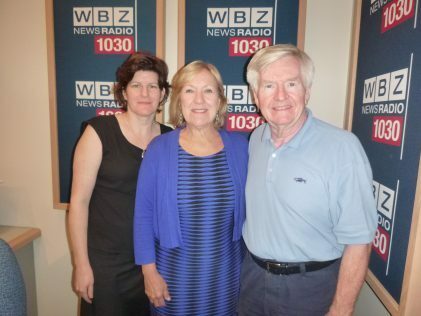 Each month, WBZ Newsradio 1030 highlights a worthy non-profit organization, and tells the story of what it does for the community. For the month of July, WBZ profiles St. Mary’s Center for Women and Children, located on Cushing Avenue in Dorchester. 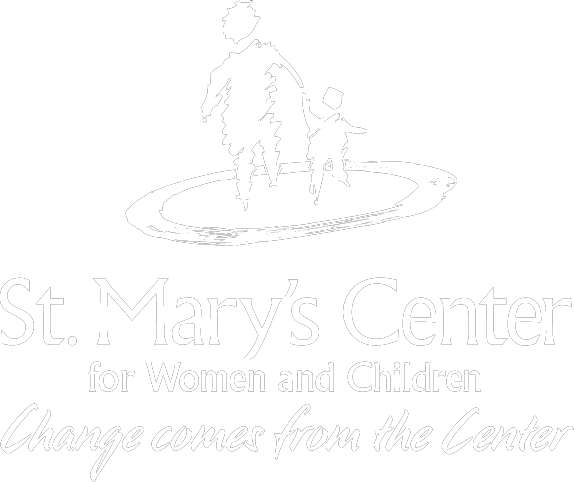 St. Mary’s Center provides housing, education and services for young women and their children. The Center supports more than 600 women, children and their families by giving them a safe place to live, along with educational and employment training. They’ve been providing help for more than two decades. Uphams Crossing provides housing for workforce and formerly homeless families. 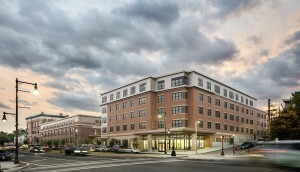 The former St. Kevin’s Parish in the Uphams Corner neighborhood of Dorchester, Mass., continues to help those in need—in its redevelopment as much-needed affordable workforce housing and permanent supportive housing for formerly homeless families. Now known as Uphams Crossing, the 80-unit community is following in the footsteps of its predecessor, which, prior to its closing, had a long-standing mission of providing support for the homeless. St. Mary’s Center for Women and Children has secured a $100,000 grant to build a new recreation center at their Jones Hill campus. The gift is one of 100 grants given out by the Cummings Foundation, a Woburn-based philanthropy. St. Mary’s Center stands out for its seven programs that are built on education, employment, preventative, and residential programs. Each year, more than 600 underserved families and children who may have experienced domestic abuse, trauma, poverty or homelessness receive the help and resources needed to build a brighter future for St. Mary’s. 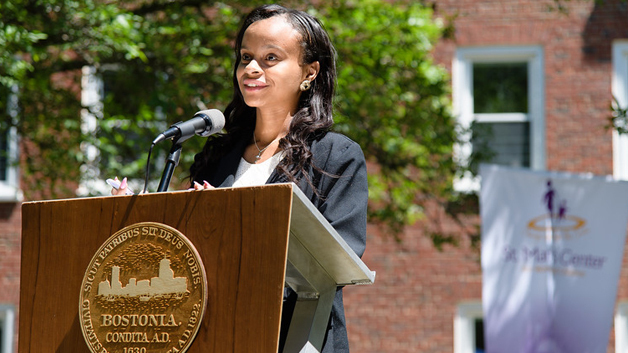 Domingas Dos Santos is “the epitome of persistence,’’ one of her teachers said. Every weekday, the alarm goes off at 5 a.m., and Domingas Dos Santos rolls over. Sometimes she would like to ignore it, but that’s not an option. She taps the alarm, gets up, and gets herself ready. Then she makes breakfast for her three boys: Victor, 10, Diego, 8, and Christian, the baby, who is 4. Docket # 0269 – A hearing regarding the impacts of homelessness, on children, young adults and families in Boston. 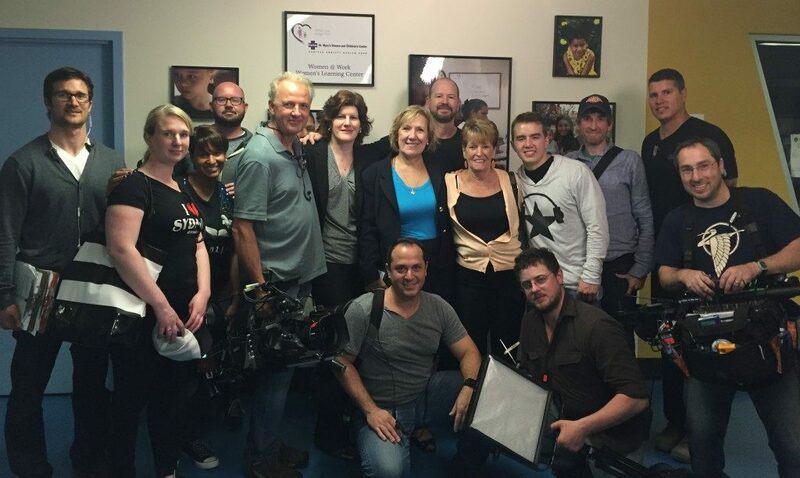 Wahlberg family with production group and St. Mary’s Center staff. Mark, always the prankster, finally gets a dose of his own medicine when he plays golf against Masters Champion and PGA bad boy Bubba Watson. Meanwhile, Alma, Bob and Brandon visit the former hospital where Alma use to work as a nurse and where all the Wahlberg boys were born. Her name was Mary. And as much as she loved her baby, she gave birth to him at a time when many unwed mothers, especially those without means, could not keep their children. So in the early 1930s, she entrusted her infant into the arms of caregivers at the hospital on a hill in Dorchester, where he was cared for, loved, and nurtured. Eventually, mother and son would reunite. But as the boy grew into a man — a military veteran and then a beloved teacher — he never forgot the warm kindness he received at the hospital. And that explains why, weeks after Robert Cosmos died in October at age 83, St. Mary’s Center for Women and Children received a check from his estate for $20,000. As Gov. Charlie Baker pores over the state budget submitted by the Legislature last week, local elected officials are working hard to ensure line items that have thus far escaped a red pen make it into the final version signed into law. St. Mary’s Center for Women and Children in Dorchester, MA works to break the cycle of poverty through emotional well-being, educational achievements, and economic independence. Every year, the Center supports 600 women and children with shelter, clinical and educational services, job training, employment placement, and search for affordable permanent housing. St. Mary’s Center’s history began in 1874, when an abandoned baby was left on a Boston church’s doorstep. By 1902, just eight years after opening, the Center had provided care and shelter to 1,000 babies and unwed mothers that were commonly rejected by society. Over the years, St. Mary’s Center has continued to provide comfort and care for pregnant women and infants, including teenaged girls. 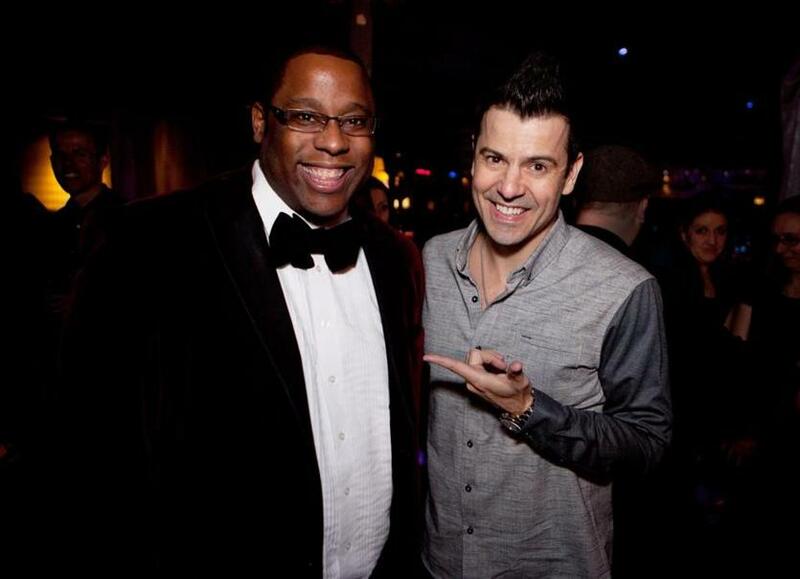 Tito Jackson (left) and Jordan Knight at The Estate on Saturday. 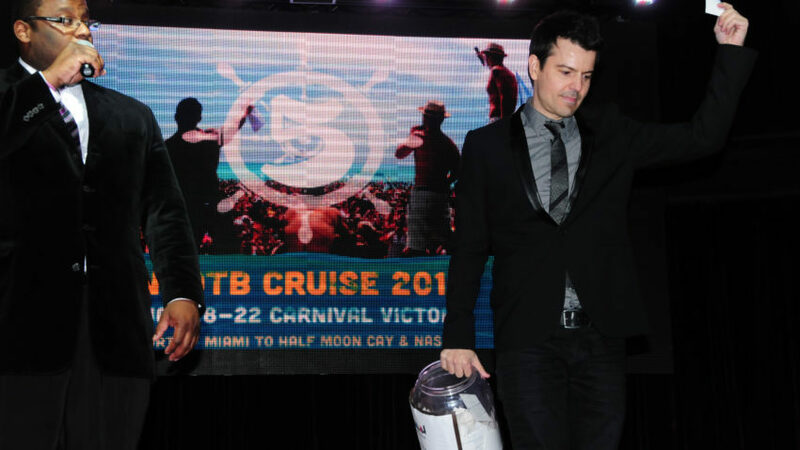 New Kid on the Block Jordan Knight was the VIP guest at St. Mary’s Center for Women and Children’s fifth annual Dancing for Hope gala on Saturday night. The evening, held at The Estate, raised money for the Dorchester agency, which provides residential, education, and employment programs for young families affected by homelesssness, poverty, and trauma. Other guests at the party included Councilor Tito Jackson and center president Deirdre Houtmeyers. The night’s entertainment included a performance by the New England Patriots Cheerleaders. 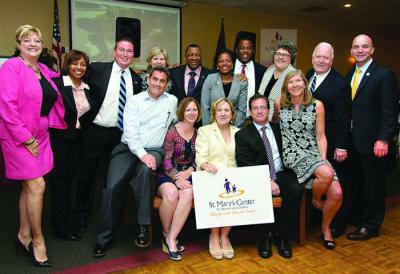 Florian Time for St. Mary’s: Elected officials joined with organizers for a photo. John Gilloolly/PEI. A large crowd gathered at Florian Hall last Thursday, June 5 for the Neighbors Supporting Neighbors fundraiser held to aide St. Mary’s Center for Women and Children, located on Jones Hill in Dorchester. An artist rendering of the former St. Kevin’s Parish in Dorchester that will become an affordable apartment community. 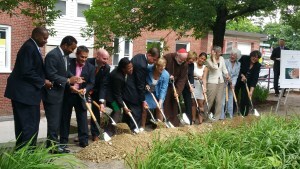 Cardinal Sean O’Malley and public officials gathered Tuesday to break ground on the rehabilitation of the former St. Kevin’s Parish in Dorchester. 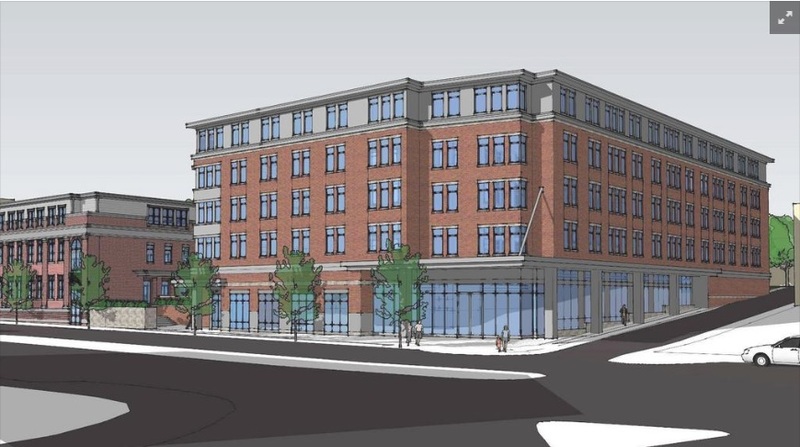 The $36.7 million redevelopment, led by the Boston Archdiocese’ Planning Office for Urban Affairs as well as St. Mary’s Center for Women and Children and Holy Family Parish, will offer 80 affordable housing units in Dorchester’s Upham’s Corner neighborhood. July 9, 2013 — St. Mary’s Center for Women and Children, an anit-poverty agency based in the Dorchester section of Boston, announced that it has named Deirdre Houtmeyers, as its new president, succeeding Judy Beckler, who served in the post for 17 years. The longtime president of St. Mary’s Center for Women and Children on Jones Hill will retire this year. Judy Beckler will be succeeded by Deirdre Houtmeyers, who has worked as a manager at St. Elizabeth’s Medical Center in Brighton for 33 years. They learn radio production, communication, and interviewing skills while on-air. A group of Boston teenagers, a baker’s dozen, crowds into the basement studios of WERS, the Emerson College radio station housed in the Ansin Building on Boston Common. They’re all girls, because, well, that’s the whole point. These are the future voices of GRLZ Radio, a radio station and after-school program run by St. Mary’s Center for Women and Children, in Dorchester’s Uphams Corner. 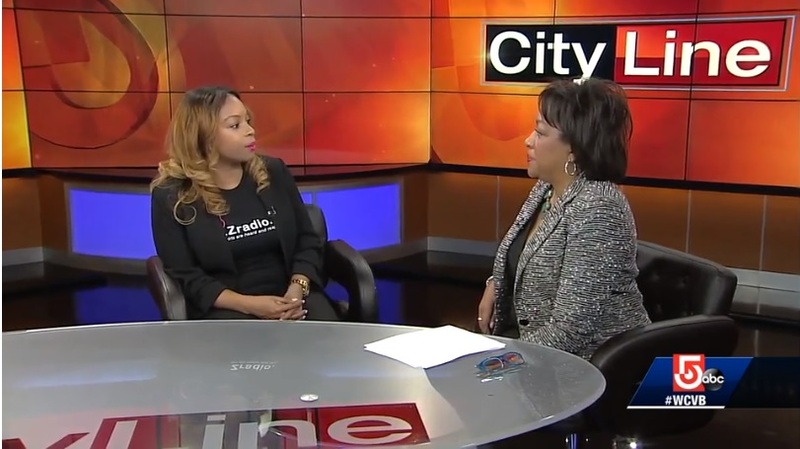 Grlz Radio in Dorchester has a role in the campaign for young women. The girls were all friends, police in Charlestown say. Then, one evening in February, three of them attacked a fourth. They punched her, pulled her hair, and as she lay defenseless, prosecutors said, one of the girls, 17-year-old Samantha Owen, stole $30 from the girl’s purse. It was just one of a roster of violent crimes by girls in recent months, punctuated last week by horrific allegations that 17-year-old Samia Jones used a butcher knife to repeatedly stab a young mother in the Savin Hill section of Dorchester. The redevelopment of the former St. Kevin’s parish property, considered crucial to the Uphams Corner area, received a boost last week as state officials announced an influx of funds for the project. The firm developing the former school building, called the St. Kevin’s Limited Partnerships, will be receiving $2.7 million in state Department of Housing and Community Development subsidies on top of $768,950 in federal low income housing tax credits. “I love Dorchester, I’m a Dorchester guy, but when you grow up you have dreams, and Milton is one of those places you dream about,” Knight said while sitting in East Milton Square’s Abby Park on Tuesday. 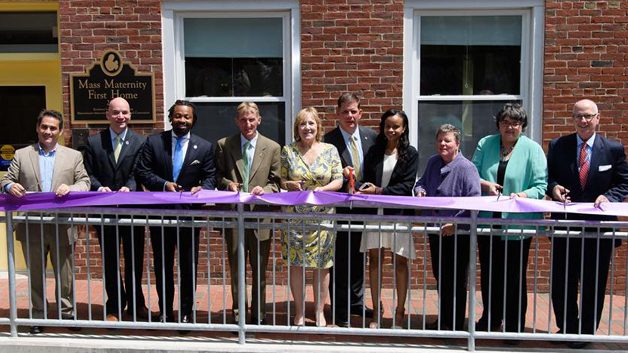 DORCHESTER — In a tough economy where just working a job doesn’t always cut it, St. Mary’s Center for Women and Children works to restore dignity by helping women, children and families achieve economic self-sufficiency and stability. The former St. Kevin’s Parish property in Uphams Corner and two parcels of the St. Peter’s Parish campus on Meetinghouse Hill are going to be converted into affordable housing for Boston families, with some of the new residents emerging from homelessness.